Don't miss this move in ready home! This rare find is a concrete block home with over 1750 sq/ft of living space with 3 large bedrooms and 2 baths, carport and a perfect workshop/ art studio/ storage room in addition to the square footage. This home has an excellent layout. Ideally located in North St Pete with easy access to beaches, airports shopping, restaurants and so much more. Upon entering the home you will find a substantially sized living/ dining room combo; due to the size of the space this room has a multitude of uses. The kitchen has tons of granite counter space, eat in bar area and overlooks the family room. The sizable master bedroom is an oasis that includes a walk in closet, updated en-suite bathroom with double vanity, custom tile and over-sized walk in shower. Two more well appointed bedrooms and another large bathroom with double vanities and custom tile round out the interior of this gorgeous home. Just off the family room sliding doors, is a relaxing Florida room/ Lanai that overlooks the private backyard and is ideal for entertaining. The long driveway and carport allow for plenty of parking to accommodate cars, RV, Boat etc. 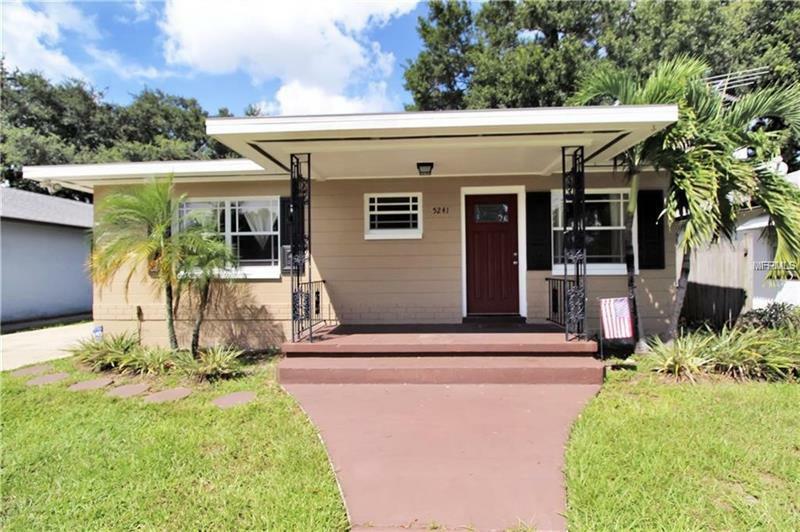 With an AC less than 1 yr old, new roof and windows in 2014, updated interior and move in ready; there is absolutely nothing to do here but make it your own.Assumable low interest VA loan to qualified borrower. Call today to view.